Not all of the documents you created are meant to be read by everyone. The best way to prevent your documents from being read by unauthorized people is by protecting them with a password. 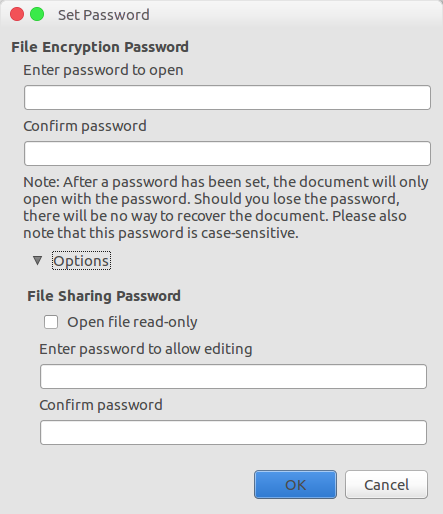 LibreOffice has made it easy for you to protect your document with a password. No need to install any extension. If you ever noticed, there is a “Save with password” option on the appearing dialog every time you want to save your LibreOffice document (File -> Save As). Clear enough, this option is used to protect your document with a password, nothing else. LibreOffice itself offers two levels of protection. First, you can protect your document with a password so only those who you have shared the password will be able to open the document. Second, you can also add an additional password to prevent unauthorized people from editing your document. However, the second option is optional. Is the password also applies on other app? Say WPS Office. LibreOffice has a compatibility with other office suites. For instance, if you save a LibreOffice Writer document in an ODT format, the document can be open using other ODT-supporting word processors like WPS Writer and Abiword. 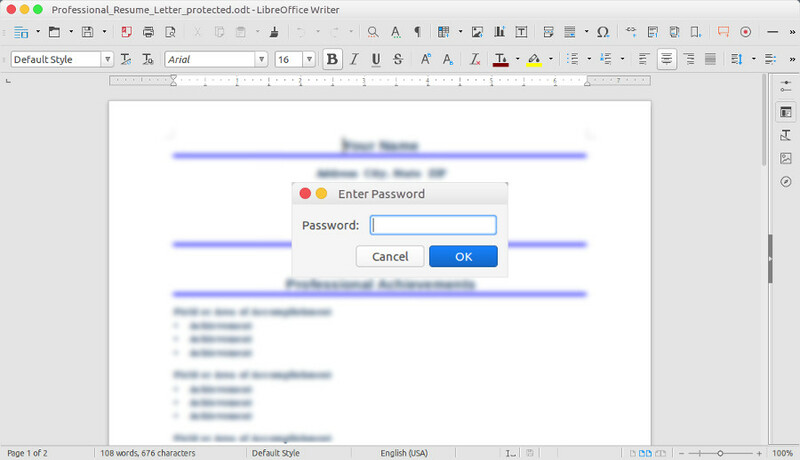 You will keep be asked to enter the password to open a password-protected LibreOffice document using WPS Office, Abiword and other office suites. Next articleHP Spectre X360 vs Dell XPS 13. Which One is The Better?